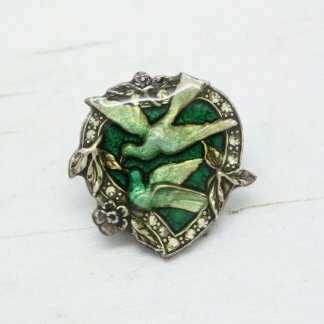 I’m happy to offer for sale this stunning Pierre Bex petite bar brooch. 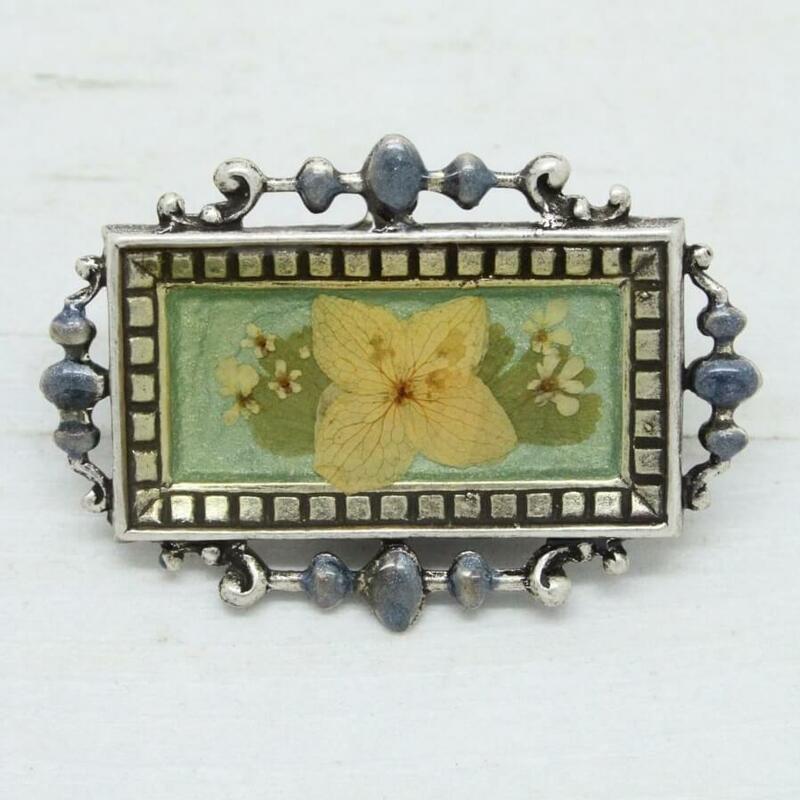 Featuring a beautiful ornate detailed frame with hand-laid pastel green enamel centre and real dried flowers – fairy flowers. 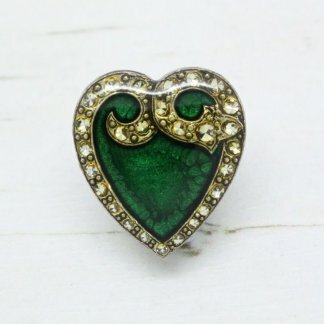 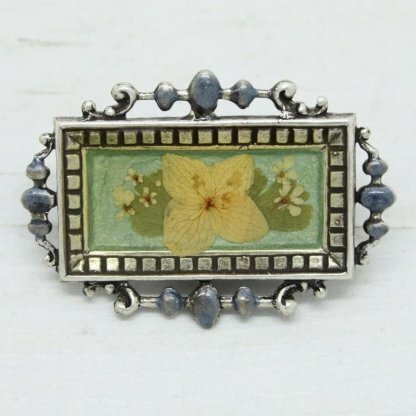 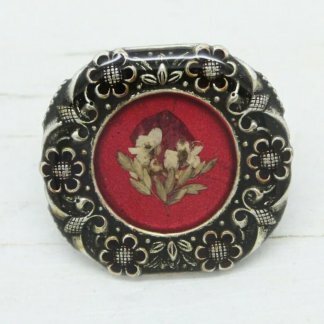 Condition: Vintage – The brooch appears unworn and ‘new’.